Original formula Super Glue forms the strongest bonds in tight joints between clean breaks or smooth surfaces. Best used with non-porous application parts such as metal and rubber. 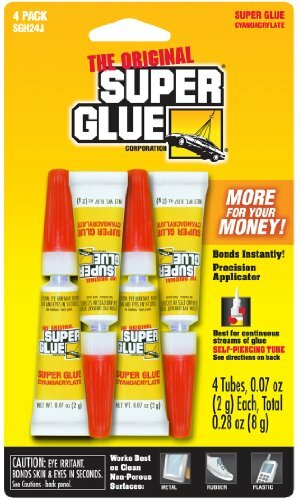 The glue bonds instantly, sets in seconds and is packaged in a long lasting 2-gram tube. This listing is for 12 packages containing 4 units each, for a total of 48 items.